A magnificent six bedroom period house on a quiet residential road. 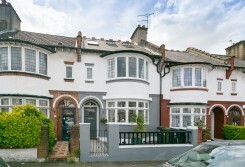 A charming FOUR DOUBLE BEDROOM Victorian family home situated in Streatham Hill. The property has numerous ORIGINAL FEATURES including working fireplaces and decorative ceilings, as well as being LIGHT AND AIRY. The property is being sold CHAIN FREE. A beautiful 5 bedroom family home. A charming natural FOUR DOUBLE bedroom VICTORIAN house situated near the excellent HENRY CAVENDISH SCHOOL. The LARGE GARDEN has differing levels of lawn, deck and paving. It also offers POTENTIAL FOR EXTENSION into the loft and side return (sttp). 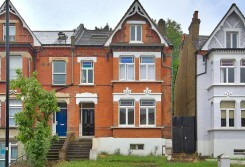 A fabulous Edwardian house on this most popular tree lined road to the south of Streatham common parkland with great potential to arrange and refurbish as desired. With a 62ft garden and off-street parking. 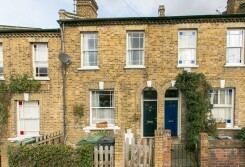 A lovely three/four bedroom end of terrace Victorian house which has been recently renovated. The property benefits from a notable south facing garden, much larger than the neighbouring houses on the road. Totally REFURBISHED BUNGALOW set back from Mount Ephraim Road with SOUTH FACING private GARDEN and BESPOKE KITCHEN & BATHROOM. 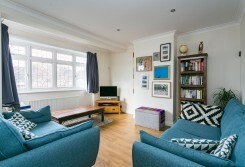 Close proximity to HENRY CAVENDISH primary school. STREATHAM HILL station is close by with direct links to VICTORIA and LONDON BRIDGE. NO CHAIN. Wide variety of bars, shops and restaurants on Streatham High Street. An excellent three bedroom house with two large reception rooms, three bedrooms and private garden. Close to excellent amenities and transport links. A lovely house on a popular road with three good sized bedrooms, and a kitchen dining area opening onto the garden. There is off- street parking and a large loft and the property is being sold with no ongoing chain. 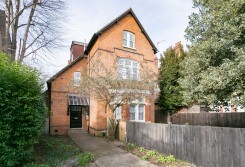 A BEAUTIFUL VICTORIAN COTTAGE on this lovely QUIET RESIDENTIAL STREET. 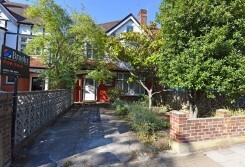 The FREEHOLD property comes with a very LARGE PRIVATE GARDEN and is close to STREATHAM STATION. 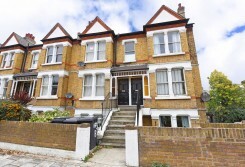 A beautifully presented three bedroom, ground floor maisonette on a popular road. 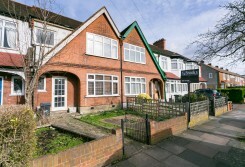 Stunning two/three bed ground floor maisonette with private garden. 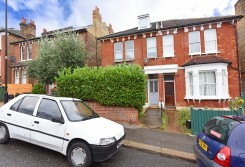 A THREE bedroom mid terraced house with TWO LARGE RECEPTION ROOMS and PRIVATE GARDEN. 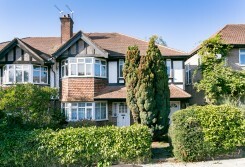 Close to popular amenities, transport links of Streatham Hill and DUNRAVEN PRIMARY & SECONDARY SCHOOL. The property is being sold with NO ONWARD CHAIN. 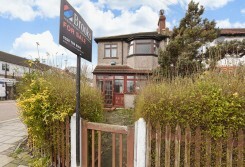 A pretty VICTORIAN SEMI-DETACHED COTTAGE in need of modernisation. The property benefits from a mature 80 FOOT SOUTH FACING GARDEN. Sunnyhill Road is situated mid distance between STREATHAM HILL and STREATHAM STATION and is known locally as part of Streatham Village. GOOD SCHOOLS are close by as are an array of cafes, bars and restaurants. NO CHAIN. A spectacular TOP FLOOR, two bedroom apartment boasting PERIOD FEATURES with a modern twist. With HIGH CEILINGS, the apartment has an abundance of natural light highlighting the high-spec open kitchen and living area. The property is sold with A SHARE OF THE FREEHOLD and no chain. 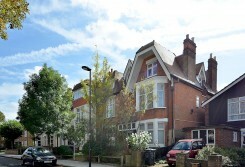 Spacious EDWARDIAN MAISONETTE with FRONT and REAR GARDENS. 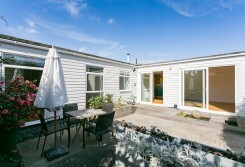 The property also boasts THREE DOUBLE BEDROOMS and a wealth of storage. This home is being sold with NO ONWARD CHAIN. 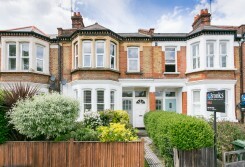 A beautiful VICTORIAN COTTAGE with private FRONT AND REAR GARDENS located close to the amenities of Streatham High Road and Streatham Common. This home is being sold NO ONWARD CHAIN. 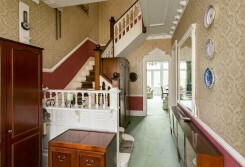 A RARE OPPORTUNITY to purchase this SPACIOUS EDWARDIAN purpose built flat. The property still boasts many of its ORIGINAL FEATURES including doors, windows, STRIPPED FLOOR BOARDS and a WOOD BURNING STOVE. 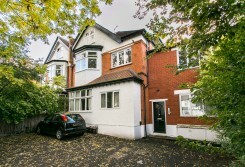 Situated conveniently on Streatham High Road for the wide variety of bars and restaurants and close to Streatham Hill Station to get into Central London. A charming maisonette with PRIVATE ENTRANCE in an EXCELLENT LOCATION immediately off Streatham High Road with PRIVATE WEST FACING GARDEN. 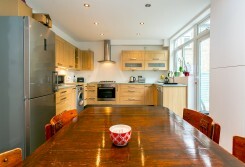 The property comprises of a modern open plan dining and kitchen area overlooking the garden. A wonderful two double bedroom apartment with PRIVATE SOUTH FACING GARDEN a short walk from STREATHAM HILL STATION and the wonderful array of BARS AND RESTAURANTS in the area. The property is BEAUTIFULLY REFURBISHED . A beautifully decorated two DOUBLE bedroom flat with PERIOD FEATURES and a lovely PRIVATE GARDEN with OWN ENTRANCE. 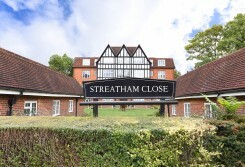 The flat is close to Streatham THAMESLINK Station, Streatham HUB area, STREATHAM & TOOTING COMMON. 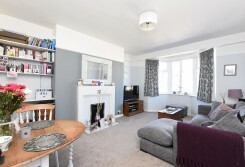 A charming THREE DOUBLE bedroom FREEHOLD HOUSE on this QUIET cul-de-sac close to Streatham Hill and Tulse Hill Stations. With OFF-STREET PARKING, lots of STORAGE and NO ONWARD CHAIN. A three bedroom, end of terrace house with detached garage and private garden. 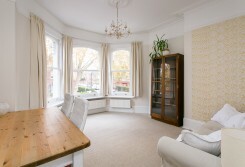 A lovely two bedroom ground floor period conversion boasting a large reception with bay window and separate kitchen. A stunning apartment with UNDERFLOOR HEATING and WEST FACING BALCONY in an EXCLUSIVE GATED DEVELOPMENT in the heart of Streatham Hill. Gaumont Place has the additional services of CONCIERGE, MEMBERS GYM as well as LANDSCAPED GARDENS. Wide variety of BARS, SHOPS AND RESTAURANTS on your doorstep. 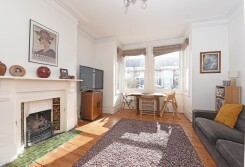 A great two bedroom garden flat on a quiet road in a converted period house. 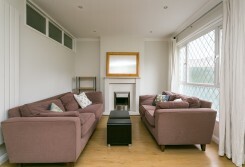 A newly refurbished three bedroom in a great location between Streatham Hill and Tulse Hill. A charming two bed first floor period conversion with HIGH CEILINGS which benefits from a great PRIVATE ROOF TERRACE with far reaching views. Tulse Hill and Streatham Hill Stations are close by. NO ONWARD CHAIN. 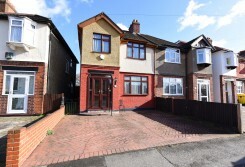 A semi detached three bedroom house with good potential and in need of modernisation. 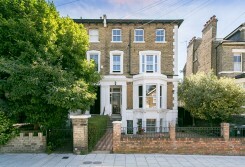 It benefits from a lovely front drive for off street parking and a very large private garden extending to roughly 56ft. 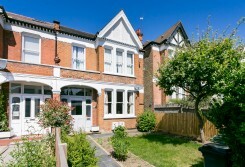 A genuinely lovely and spacious purpose-built EDWARDIAN property with FRONT GARDEN. This home is light throughout with two DOUBLE bedrooms and a separate EAT-IN KITCHEN. 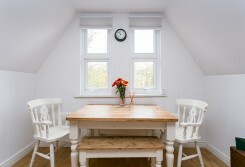 In the living room, a LARGE BAY WINDOW provides the property with CHARACTER and CHARM. Streatham High Road is half a mile walk away with an array of shops, bars and restaurants. 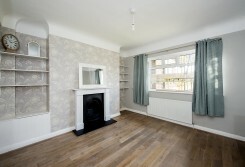 Spacious three bedroom flat with an open plan kitchen and living room, a converted loft and shared off street parking. Close to Streatham High road and Streatham Hill and Streatham Train stations. 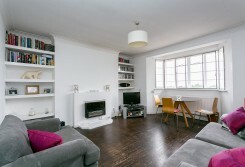 A wonderfully bright and spacious two bedroom apartment. The flat has a huge reception room with dual aspect windows, separate kitchen, two large bedrooms and bathroom. 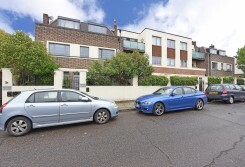 THREE/FOUR bedroom MAISONETTE with OFF-STREET PARKING for two cars. VERSATILE living pace. RECENTLY REFURBISHED. The master bedroom benefits from EN-SUITE. A truly stunning one bed period conversion which would be perfect for a first time buyer, investor or some someone who simply wants a pied a terre. 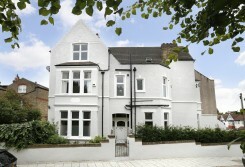 The location offers enviable accessibility to the high street and Streatham Hill Station. Viewing is strongly recommended. 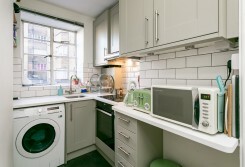 A handsome spacious one bed period conversion with separate kitchen to reception and good floor to ceiling height. There is a well looked after south facing communal garden. 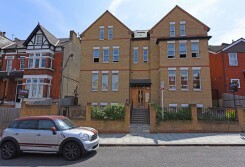 A lovely spacious one bed flat on the first floor of this modern development. A SPLIT LEVEL PERIOD CONVERSION nearing 700 SQUARE FOOT. 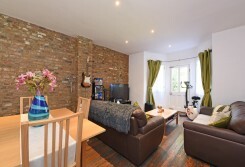 Close to both TULSE HILL AND STREATHAM HILL STATIONS as well as BROCKWELL PARK and HILLSIDE GARDENS. EXCELLENT condition. Generous sized bathroom with SEPARATE SHOWER AND BATH. Plenty of BARS and RESTAURANTS CLOSE BY. 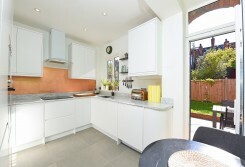 A stunning ground floor apartment with PRIVATE TERRACE very close to STREATHAM HILL STATION. 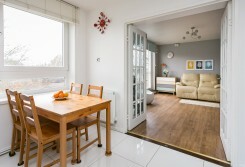 The flat is BEAUTIFULLY PRESENTED and offered with NO ONWARD CHAIN. It also has UNDERFLOOR HEATING throughout. 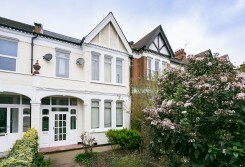 A WELL- PROPORTIONED top floor flat with two DOUBLE BEDROOMS within a large, handsome Victorian CONVERSION property close to the local amenities of STREATHAM HILL, STREATHAM COMMON and TULSE HILL. 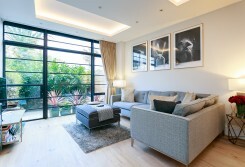 The property is SHARE OF FREEHOLD. 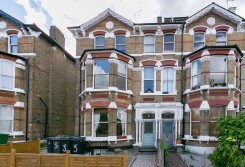 A VERY LARGE and excellent TOP FLOOR FLAT in this handsome VICTORIAN BUILDING a very SHORT WALK FROM STREATHAM STATION. 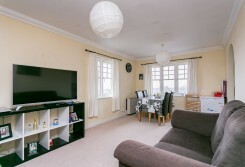 A great two bedroom property in a smart block very close to two stations and the common. 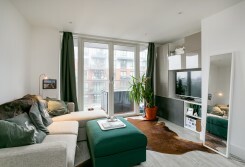 A TWO DOUBLE BEDROOM apartment in a purpose-built block. The property benefits from lots of NATURAL LIGHT and has LARGE KITCHEN AND RECEPTION ROOM and has been RECENTLY REFURBISHED. There are BUILT-IN CUPBOARDS and a JULIET BALCONY in the reception room overlooking STREATHAM COMMON. The property benefits from LIFT ACCESS and PERMIT PARKING and has LONG LEASE (180 YEARS). WEST NORWOOD and STREATHAM stations are closest. Streatham Common and THE ROOKERY are CLOSE BY. TWO DOUBLE BEDROOMS in a purpose built LOW RISE block. There is a private BALCONY and plenty of BUILT IN STORAGE. TULSE HILL and STREATHAM HILL stations are both close by as HILLSIDE GARDENS PARK area and plenty of BARS, SHOPS, CAFES and RESTAURANTS on both local High Roads. The property has been recently REFURBISHED to a HIGH STANDARD. 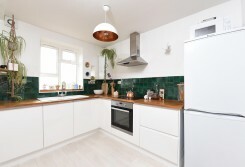 A two bedroom, second floor flat set in an immaculately kept 1930's, purpose built block. The accommodation is light and airy and in good decorative order with a modern bathroom and kitchen. 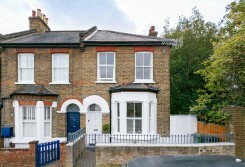 A lovely split level VICTORIAN CONVERSION flat. 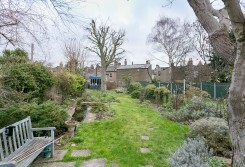 The property boasts plenty of CHARACTER with direct access to a shared GARDEN. Tierney Road conveniently located between Streatham Hill, Balham, Clapham and Brixton. An immaculate and spacious one bedroom flat in a popular building a stone's throw from Streatham Hill Station featuring a wonderful reception room with bay window, very large bedroom, a well-presented kitchen and a contemporary, bright bathroom. A lovely two double bedroom flat on the first floor conveniently located just off the high street in lovely condition with lots of natural light and no onward chain. 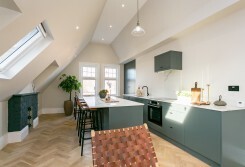 A smart, chain-free, top floor CONVERSION FLAT forming part of this handsome VICTORIAN BUILDING. 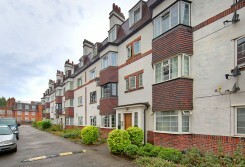 A lovely purpose built flat situated on the FIRST FLOOR of this popular ART DECO block. 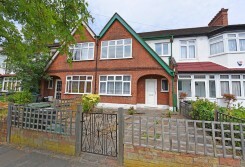 The property is in GOOD CONDITION and is positioned well for all of Streatham’s local AMENITIES. Excellent location for buses in to CENTRAL LONDON, Brixton and Clapham and the overground from STREATHAM HILL into VICTORIA and LONDON BRIDGE. 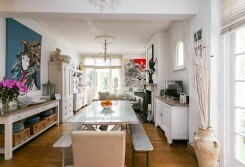 STUNNING ART DECO flat with OVER 600 square feet on SECOND FLOOR of this PRIVATE block. The property benefits from SEPARATE kitchen and reception room. 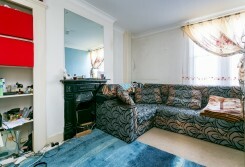 EXCELLENT LOCATION for transport links into BRIXTON, LONDON BRIDGE, VICTORIA and CLAPHAM JUNCTION. Many BARS, SHOPS, and RESTAURANTS to choose from on your doorstep. NO CHAIN. A smart TWO DOUBLE bedroom flat with OFF-STREET PARKING, in a well kept private development, close to Streatham Common and The Rookery. WEST NORWOOD AND STREATHAM STATIONS are nearby. There is NO ONWARD CHAIN. 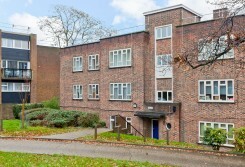 A very smart two bedroom flat in a modern purpose built block. The accommodation is in excellent decorative order with a well kept communal garden. 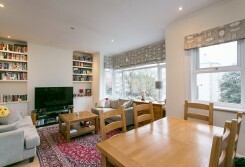 A fifteen minute walk from the train station and local amenities. 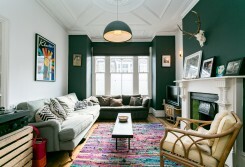 An attractive SPLIT LEVEL flat in a VICTORIAN PERIOD CONVERSION. 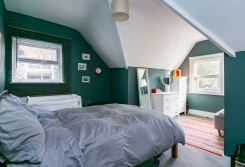 Accommodation in EXCELLENT DECORATIVE ORDER Close to Streatham Hill and TULSE HILL STATION where there are a wide variety of shops, cafes, bars and restaurants. 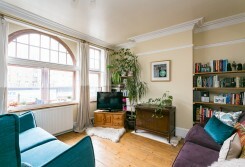 A charming SPLIT LEVEL flat set in a VICTORIAN period conversion in GOOD CONDITION. Hitherfield Road is a QUIET residential street. 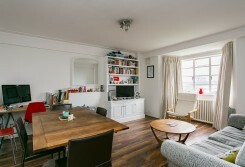 There are numerous BARS, RESTAURANTS AND SHOPS in nearby STREATHAM HILL and TULSE HILL and excellent overground rail Stations at both offering direct access into London Bridge, Victoria and the City. NO ONWARD CHAIN. 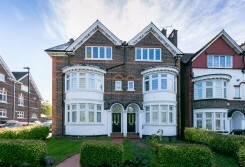 A brilliant GROUND FLOOR apartment in this LANDMARK PERIOD BUILDING within MOMENTS OF STREATHAM HILL STATION. The flat is offered with NO ONWARD CHAIN and is very SPACIOUS AT ITS ASKING PRICE. 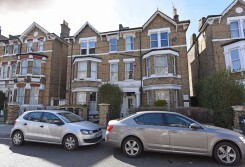 An excellently located one bedroom flat just off Streatham High Road and close to Streatham Common and Streatham mainline stations. In need of modernisation. Very healthy LEASE OF OVER 100 years. NO ONWARD CHAIN. 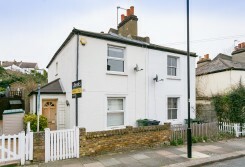 A charming one bed property being sold chain free, close to the array of shops, bars and restaurants of the high street as well as the open space of Streatham Common. 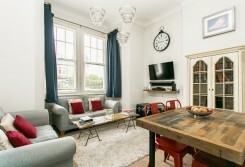 A charming first floor studio apartment in a Victorian period conversion which also has a share of the freehold. 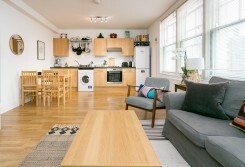 The flat is in excellent condition and benefits from lots of natural light. No onward chain.